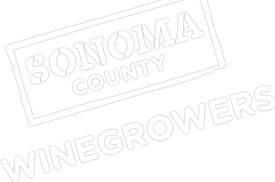 The Sonoma County Winegrowers would like to congratulate our county’s agricultural community for their continued positive economic contribution to Sonoma County. Earlier today, Agricultural Commissioner Tony Linegar presented the 2014 Crop Report to the Sonoma County Board of Supervisors and other community and business leaders. The total value for 2014 crops is $899,015,400, a 6% increase from 2013. The 2014 winegrape crop was valued at $592,798,000, a 2% decrease from 2013. Tonnage was down 5.5% from the 2013 record crop, but the average price per ton for grapes increased $83, from $2,236 in 2013 to $2,319 in 2014. Furthermore, the 2014 winegrape crop accounted for approximately 66% of the total agricultural income in the county. As these figures show, Sonoma County’s grape growers continue to be a major economic driver for our agricultural industry, which is the fabric of this great community. In addition to this economic impact, grape growing also protects and preserves the agricultural legacy of Sonoma County and helps maintain the scenic beauty that attracts millions of visitors every year who want to experience this special place. The 2014 Sonoma County Crop Report will be available online later this week. In the meantime please scroll down to view the winegrape production pages.